The Aston Martin Vulcan is a wonderful machine, wonderful in that it is a gigantic seven-liter V12 track car built for no purpose other than to split Ferrari engineers’ eardrums. For some reason, Aston Martin gave it more wings. 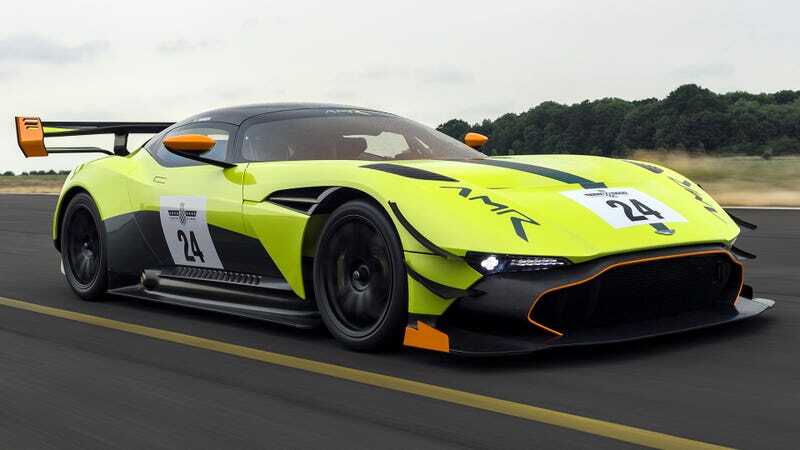 This is the Aston Martin Vulcan AMR, which is the latest extension of Aston Martin’s AMR program. AMR sort of extreme-ifies regular Aston road cars, like the Vantage and the Rapide. But the Vulcan is already extreme, so this is like an extra extra, a pluperfect. There’s no more power for the car, nor is there more noise. What there is is more canards, more gurney flaps, more wing. “The combined effect of these aerodynamic changes is a major increase in downforce, from the standard Aston Martin Vulcan’s 3150Nm to a colossal 4000Nm,” says Aston Martin, using a measurement of downforce I have never seen before. AM lightly contextualizes the figure to 3104Nm that the 2017 Le Mans-winning Vantage GTE produces. Again, I don’t know why Aston Martin is adding downforce to a car that doesn’t need it, when it could instead invest in exhausts that exit through the hood and shoot flames.